We’ve been talking a lot lately about the importance of scaling your ABM programs to your top 500 or 5000 accounts. Why are we so focused on this? Because organizing your team around a key set of target accounts helps aligns sales and marketing against the same metrics, increasing value for the company through improved team efficiency and increased revenues. A few years ago, it was only possible to create this kind of focused program for your top target accounts. However, with the technologies available today, such as predictive analytics, website personalization and enhanced automation capabilities, it’s possible to create hyper-focused, personalized campaigns for thousands of accounts. So what are some of the key ways that scaling your ABM program can support growth? Interested in learning more? 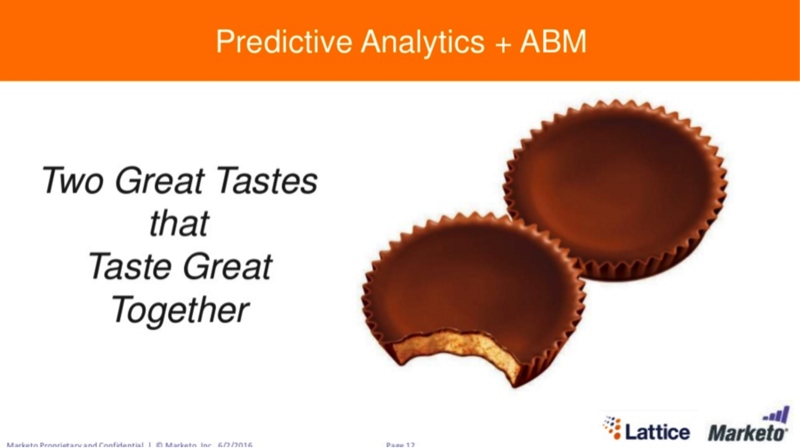 Check out a recent webinar from our head of product marketing Nipul Chokshi, and Marketo’s VP of Product Marketing Mike Telem, that provides examples of how scaling ABM is making a huge impact for savvy companies!